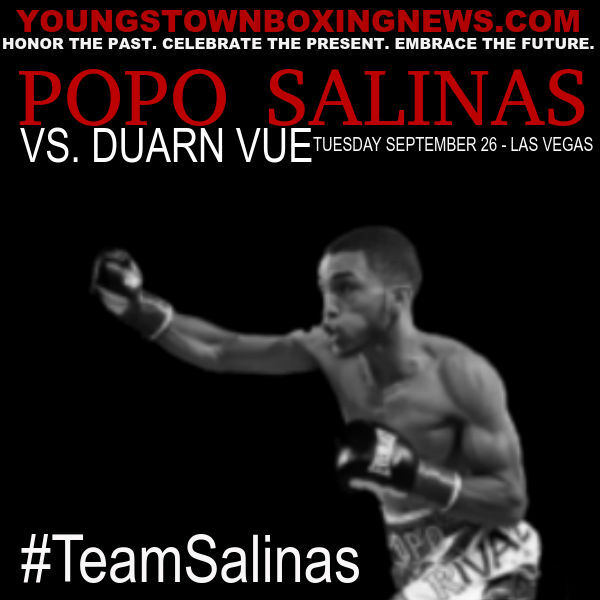 As Alejandro "Popo" Salinas puts the final touches on his stellar training camp under the direction of Jack Loew at the Southside Boxing Club, it's time to take a look at the opponent for his nationally televised bout on FS1 next Tuesday night at the Cannery in Las Vegas, Nevada. 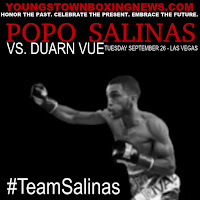 Duarn "The Storm" Vue, 31, of Madison, Wisconsin will bring an undefeated record of 12-0-2 into the ring. Known more for his relentless pressure and fighting forward than his punching power, the 5'3" fighter will be leaving the Wisconsin-Minnesota region for the first time in his career. weight balloon to about 180 before he made his way to Madison and into the doors of Supreme Hits Boxing Gym where he has become one of the top-ranked Super Featherweights in American under trainer Murid Muhammad. Unlike the last opponent Salinas fought, Jairo Vargas, Vue will bring more of a challenge but also a smaller mouth as by all accounts Vue is a very respectful individual not only inside the ring but outside as well. Though Vue might not run his mouth at a fast pace, he will fight at one throwing many punches a round, how else do you think he got the alias The Storm. Another sidebar of information about Vue is that he has also participated in six MMA bouts going 3-3 in those matches.